HARMON, Guam — In September, IT&E partnered with several organizations, including the Project Inspire Foundation, the American Red Cross, Guam Department of Education, and the NMI Humanities Council, to advocate for some of the most vulnerable members of our community. 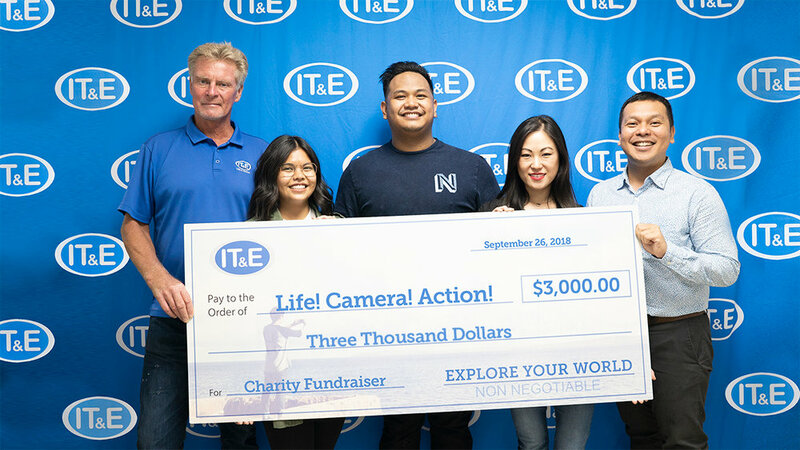 IT&E worked with the Project Inspire Foundation of Guam to bring attention to an issue that affects many in our community, but often is not discussed openly. IT&E presented Project Inspire Foundation with $3,000 for Life! Camera! Action! Event on Sept. 27, which raised funds for and highlighted suicide prevention and mental health awareness. The event included a silent art auction, live music, and a film contest. A portion of the proceeds from the event will go to organizations that reach out the youth and provide safe spaces for them, including Gametime Inc. Guam, Island Girl Power, and Sanctuary Incorporated Guam. In the wake of the devastation of Typhoon Mangkhut, IT&E has been working to assist in any way it can. To support the American Red Cross - Guam Chapter in their mission to provide supplies and services to families affected by natural disaster, IT&E presented the organization with $3,000 for its signature event, the Red Ball. 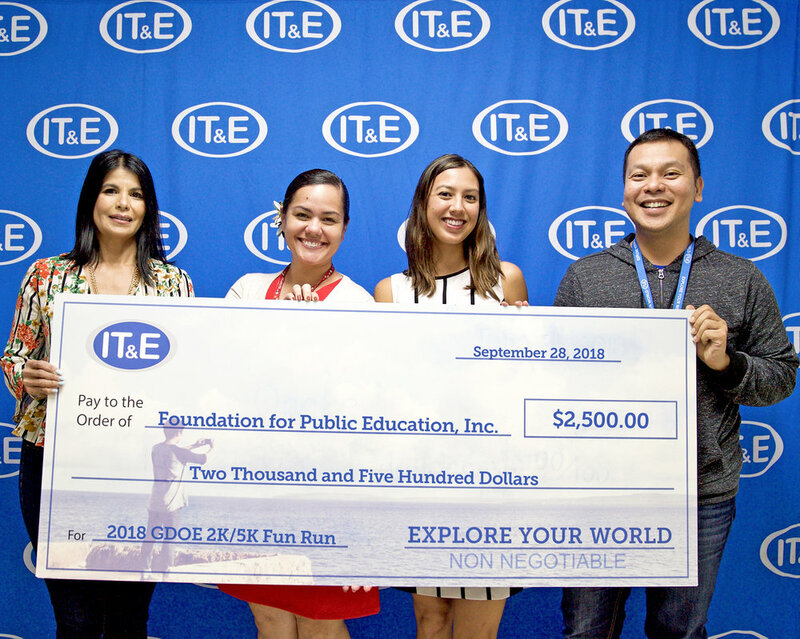 In support of providing safe, accessible education to Guam’s youth, IT&E donated $2,500 for the 2018 GDOE Be Healthy, Be Smart 5K/2K Fun Run, which was held on Sept. 29. - In support of cultural diversity and to promote cultural appreciation, IT&E presented the Korean Association of Guam with $2,000 for the 1st Annual Korean Festival held on Sept. 21. 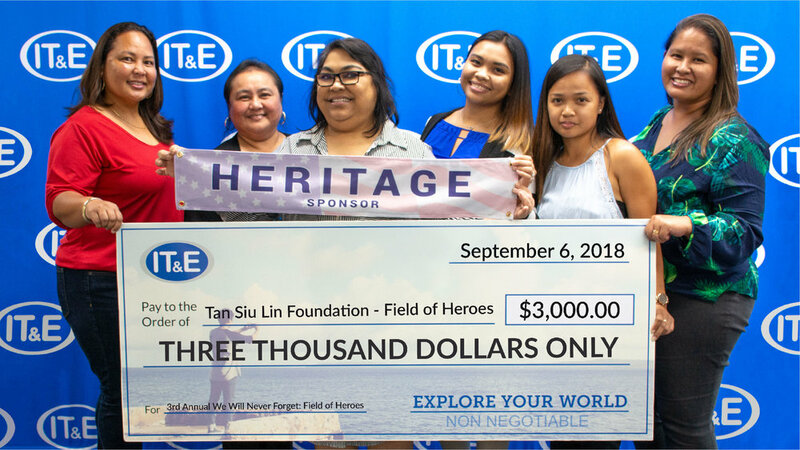 - IT&E presented the Tan Siu Lin Foundation with $3,000 for the 3rd Annual We Will Never Forget Field of Heroes event honoring our country’s heroes and in remembrance of those that lost their lives in the Sept. 11, 2001 terrorist attack in New York. Proceeds from the event will go to the NMI Humanities Council’s efforts to support servicemen and women that suffer from Post-Traumatic Stress Disorder. 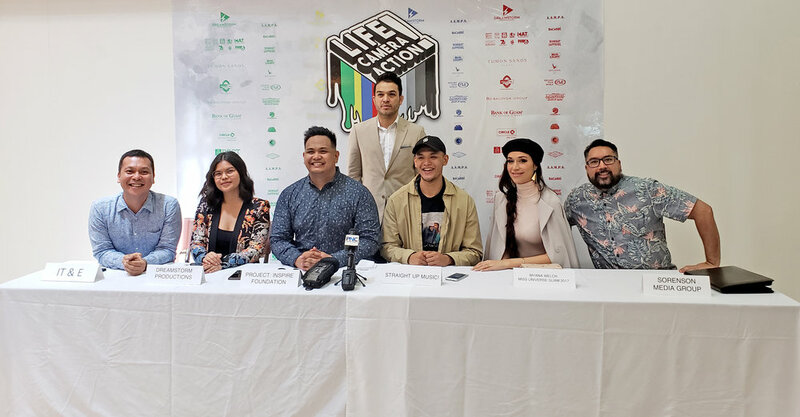 Photo Caption: IT&E and community partners discuss the importance of mental health awareness and suicide prevention at a press conference on Sept. 25 at Tumon Sands Plaza. Photo Caption: IT&E partners with the Tan Siu Lin Foundation to help support service member suffering from PTSD and to honor those that lost their lives in the Sept. 11, 2001 terrorist attacks in New York.